DO YOU SEE YOUR ENEMIES PROSPER?-THEN TURN THE OTHER CHEEK! When you read Psalm 37 and then go to Psalm 73 you don’t have to worry about your enemies but trust in the Justice of God. 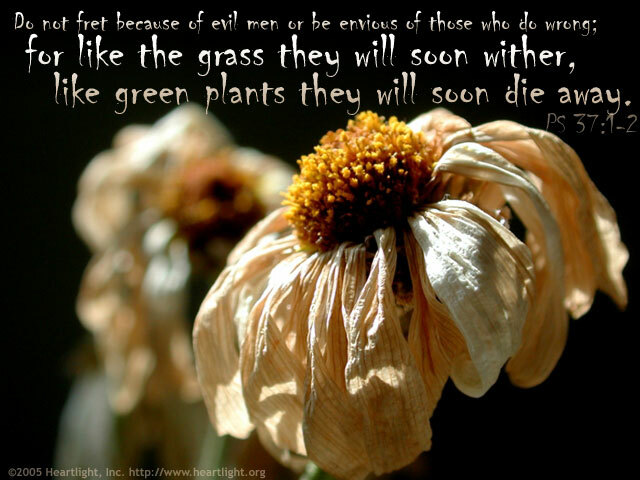 they will die like plants that wither. live in the land and be safe. 6 he will make your righteousness shine like the noonday sun. or those who succeed in their evil plans. it only leads to trouble. but the wicked will be driven out. and enjoy prosperity and peace. and glare at them with hate. because he knows they will soon be destroyed. and their bows will be smashed. but protect those who are good. and the land will be theirs forever. they will have enough in time of famine. but good people are generous with their gifts. but those who are cursed by him will be driven out. or their children begging for food. and does not abandon his faithful people. but the descendants of the wicked will be driven out. and never depart from it. or let them be condemned when they are on trial. and you will see the wicked driven out. I looked for him, but couldn’t find him. and their descendants are wiped out. and protects them in times of trouble. because they go to him for protection. 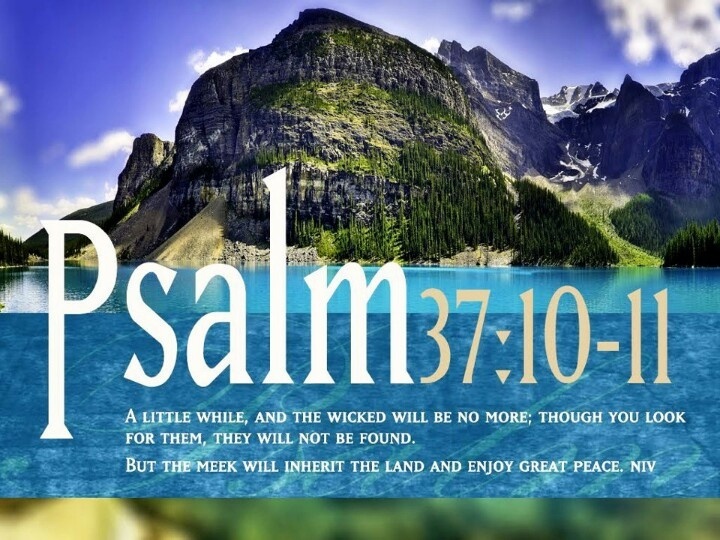 Just read Psalm 73… and it was no coincidence. Hard and what I am working on. Midpost at the moment of the path to forgiveness… easier to not take offense when we realize they are, in fact, insulting Christ and we are purchased and no longer conformed to the world. Our life is on loan and was free but no longer free to do with what we *used to* please. He’s got us, let go and let Him fight the real fight for you. Forgiveness means to let go and give it to God, it doesn’t mean you condone the behaviour, it doesn’t mean you have to be friends, but it does release you so that you may have peace. God bless and thanks for stopping by.